The world-famous Glenn Miller Orchestra brings timeless classics like “In the Mood,” “Moonlight Serenade,” “Chattanooga Choo Choo,” “Pennsylvania 6-5000,” “String of Pearls,” and “Tuxedo Junction” back to the stage. Even 75 years after founding his famous orchestra, Glenn Miller’s music is alive and well. 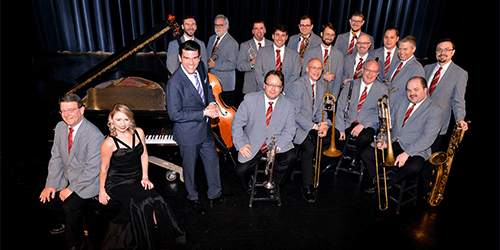 More than 20 musicians and singers bring the unforgettable Glenn Miller sound and perform those songs that everyone remembers. This is a show not to be missed for jazz and swing fans alike or the incurable romantics who want to step back in time. The legendary Glenn Miller was the most successful of all the dance bandleaders back in the swing era of the 1930s and ’40s.